When treating patients with Crohn’s disease or ulcerative colitis, there is a natural tendency for clinicians to focus exclusively on controlling the GI symptoms. But while symptom management is a crucial part of any care plan, we also can’t ignore the debilitating impacts of anxiety, depression, and other emotional factors affecting patients living with inflammatory bowel diseases. Welcome to the Crohn’s & Colitis Foundation Perspectives on ReachMD. I’m Dr. Eva Szigethy, Professor of Psychiatry, Pediatrics, and Medicine at the University of Pittsburgh Medical Center. And joining me to discuss the psychosocial impacts of inflammatory bowel diseases is Dr. Megan Riehl, Clinical Assistant Professor of Medicine and Clinical Psychologist at the University of Michigan. Dr. Riehl, it’s great to have you with us. Thank you so much; my pleasure. So, let’s get us started with a frame of reference. Just how commonly do psychiatric disorders such as depression and anxiety affect our IBD patients? It’s quite common, and especially when we look at clinical anxiety disorders or clinical depression that meet criteria for a generalized anxiety disorder or health-specific anxiety disorder. About 21% of our IBD patients meet those criteria for anxiety disorders, but another 35% have symptoms of anxiety that can be prevalent throughout the duration of the lifespan, and about 15% of our patients meet criteria for clinical depressive disorders. But again, a higher prevalence, at about 22%, have depressive symptoms, so it’s quite common and something, certainly, that we have to be aware of, as well as taking a peek at risk factors. 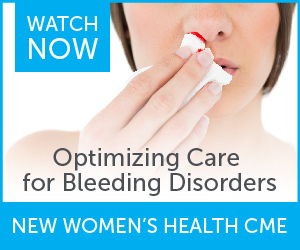 So, being female, those with active or more severe IBD, people that have had surgical complications and low levels of social support are at higher risk for these psychiatric disorders, so certainly something that we have to be very aware of. So, it sounds like these psychosocial factors can be especially severe when combined with the physical symptoms of IBD. That’s very true, and patients with active or fluctuating IBD, some of the psychosocial factors that they’re dealing with are lower qualities of life, so worrying about the ability to get to school or work or manage relationships. They have more stress, whether it be stress, again, related to finances or medications or managing insurance companies, or again, just the stress of getting to doctors’ appointments. So, we have this health anxiety and also pain anxiety, so the worry about the symptoms that they endure. And then also there’s this loss of control around when they’re flaring or the potential. So, with chronic disease, there are a lot of unknowns and uncontrollables, and anytime we have that, anxiety kind of likes to burrow in there and live there and perpetuate. Also, we’ve found that patients that have active or fluctuating IBD, they need more potent medications, and so from a medical perspective, we have to consider that, and then also working to help stabilize their emotional symptoms. These patients really have to have strong coping skills, but when the psychosocial factors start to impact our physical symptoms, we do see that some of these patients are engaged in more maladaptive coping strategies, so it can certainly be an area that we can focus on with mental healthcare. Now, obviously, addressing the psychosocial effects of IBD can be challenging for anyone, let alone those who aren’t psychiatrically trained, but are there ways for gastroenterologists and primary care providers to help guide these patients directly? Certainly, and I think it starts with just routine screening. So, just like medical doctors come in and ask, “How are you physically doing?” I always recommend that they also incorporate conversation about how the patient is doing emotionally, and when this is done routinely, it allows patients to know they may always have this opportunity to bring it up. I know that sometimes medical providers can be afraid to open that door, but patients certainly appreciate it. And they don’t always know if it’s appropriate to talk to their doctors about how they’re feeling emotionally, and so, when the medical provider brings it up, it really opens up this opportunity to build the working relationship and to build trust, and so encouraging patients, as a medical provider, to monitor their own emotional well-being from visit to visit and recognize that your emotional health can change over time, I think that just encouraging patients to be in touch with that can be really helpful. And the Crohn’s & Colitis Foundation has recently revamped their emotional health web content, so it can serve as a really nice resource for medical providers and gastroenterologists to refer their patients to. It’s an excellent resource. So again, I think, just to highlight that providers can normalize for patients that when they’re not feeling well physically, sadness and frustration and irritability are quite common, and that these symptoms will likely pass as they address their physical health, but we really want to be aware of the extremes: the hopelessness, insomnia, isolation, panic attacks, thoughts of death. And if it’s not brought up in a medical setting and a patient doesn’t have an established mental health provider that they’re talking about these extremes with, there are some really big negative consequences to this going unaddressed, and so having a list of mental health providers in your office to aid with introducing recommendations for addressing mental health can also be really helpful and also introducing it as part of the treatment plan. And when you have that list available, this also destigmatizes the process of establishing care with a mental health provider, and you can also highlight that in no way are you abandoning the patient while they address their mental health, and patients really can feel validated in that. For those just tuning in, you’re listening to Crohn’s & Colitis Foundation Perspectives on ReachMD. I am Dr. Eva Szigethy, and today I’m speaking with Dr. Megan Riehl about updated approaches to the psychosocial aspects of IBD care. Now, earlier we talked about the ways for gastroenterologists and generalists to intervene for patients suffering from the psychosocial effects of IBD. But from your perspective, Dr. Riehl, when should a patient be referred to see a mental health specialist? When available—and I’m a GI psychologist fully integrated into a GI department—we like to encourage that the behavioral health and the mental health aspect be introduced right away, that I’m just one of the treatment team and that this can happen early, and that way we can help navigate some of the complexities of being newly diagnosed, aiding the patient in coping strategies and working on stress management, and also, just aiding with the GI-specific mood symptoms that can be prevalent. When mental healthcare is integrated early, we really then assess the needs of the individual and create individualized treatment plans. Some people may only be interested in learning about the available resources in these early behavioral health meetings, others may want routine follow-up, and then still others may want to do some short-term work with the option of returning for additional services in the future. So, once a patient has been referred to you, what therapies have you found most effective, and do psychiatric medications play a strong role here? So, in the world of psychogastroenterology, what we’re finding has the most evidence-based research are cognitive behavioral therapy, and we can really use this type of therapy to address quality of life and coping skills, medical adherence, and anxiety and depression. Another type of psychotherapy that we use is gut-directed hypnosis, and while there’s still not a ton of research out there, there have been some randomized controlled studies looking at prolonging clinical remission in patients with ulcerative colitis, and patients also find this intervention to be very helpful in terms of learning ways to cope with pain and really reframe how they experience their GI symptoms. Mindfulness-based theory or therapies are something that are newly being looked at but certainly have a lot of promise in terms of addressing quality of life and anxiety and depression. So, those are some of the ways in which we incorporate evidence-based psychological therapies. And from a psychiatric medication standpoint, depending on the severity of the patient’s anxiety or depression, certainly a consultation with a psychiatrist can be very helpful. And lastly, Dr. Riehl, are there any other key takeaways you’d like to leave with our audience today? Absolutely. First, just having this conversation and dialogue is so important, and we have to destigmatize the role of managing mental health and really make it a part of our overall health and wellness when it comes to having a chronic illness. 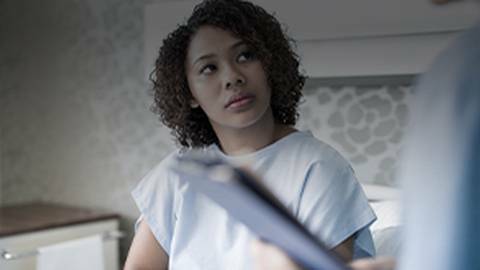 Providers are just encouraged to be asking questions about their patients’ emotional health frequently and be prepared to offer mental health resources. And, as I said, the Crohn’s & Colitis Foundation offers several resources, both on their web page as well as in-person opportunities through some of our educational events. And, certainly, patients are open to incorporating mental healthcare to their treatment plans and can feel very empowered knowing that they’re receiving holistic, comprehensive care when they have a gastroenterologist, a psychologist, and even dieticians or social workers on their team. Well, this has been an extremely valuable discussion about a crucial aspect of IBD care, and I’d like to thank Dr. Megan Riehl for joining us today. It was great having you with us, Dr. Riehl. Thank you so much. It was great to join you, Dr. Szigethy. Did you know that 35% of IBD patients have symptoms of anxiety? That’s why it’s so important to know how to care for your patients’ body AND mind. Psychosocial disorders like anxiety and depression can be especially severe when combined with the physical symptoms of IBD. Fortunately, there are ways gastroenterologists, primary care providers, and mental health specialists can all work together to address these effects as early as possible, as Dr. Megan Riehl, Clinical Assistant Professor of Medicine and Clinical Psychologist at the University of Michigan, explains.